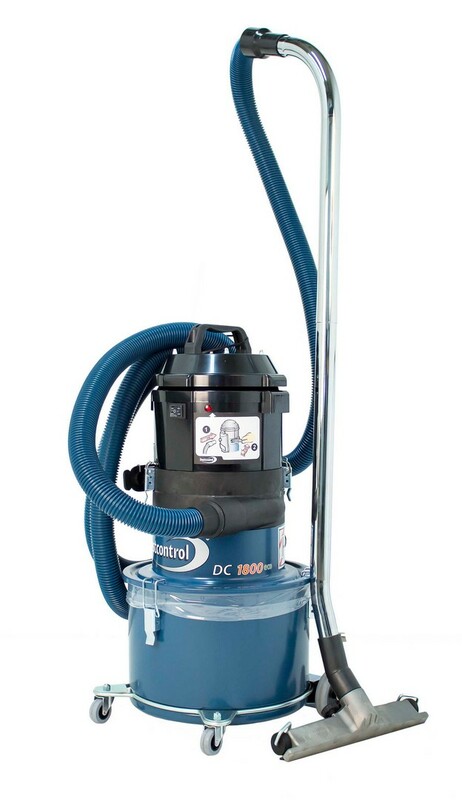 The DC 1800 is suitable for general cleaning and source extraction from handheld power tools (with up to 5” suction casings) and small table saws. The DC 1800 is small, lightweight and ideal for those that need a highly portable machine that is powerful enough for source extraction. With its low weight, it is easy to carry onto the job site and can be easily stored or rolled under a workbench. The sturdy construction is perfect for the demands of the construction and machine rental industry, but also for anyone that needs a light yet powerful dust extractor. The DC 1800 is equipped with steel container and a plastic bag inside.